Trending, relevance, the sort of things you’d measure the Internet in seem to be spiking some influence within the automotive world. With Fiat having recently announced an U.S. debut for the 500 Abarth on Twitter, Hyundai follow in the path of using social media to make significant announcements. 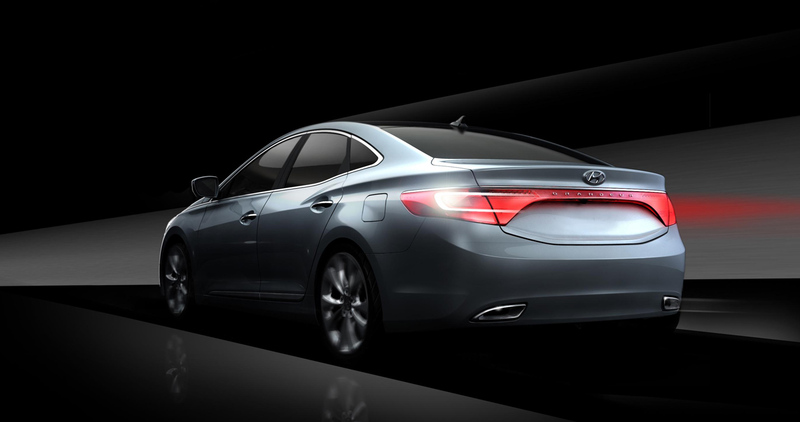 It’s through the same micro-blogging platform that we find out about the Korean company’s plans for the 2011 Los Angeles Auto Show include launching the 2012 Hyundai Azera. 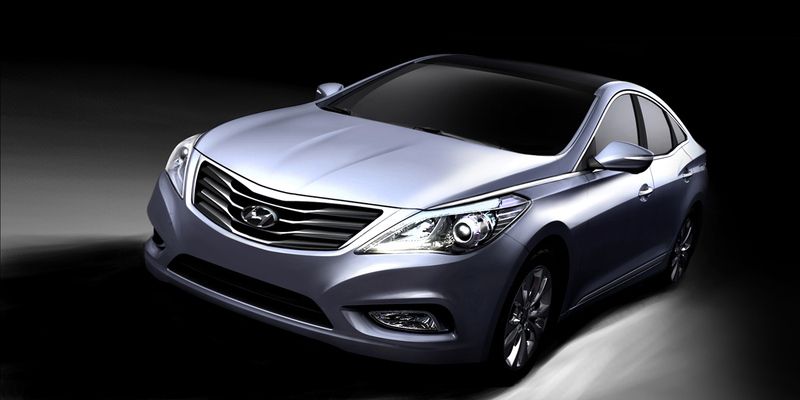 The 2012 Azera will be a more than fitting addition to the Hyundai lineup falling somewhere in the middle. The middle being, of course, above the Hyundai Sonata but still below the considerably larger Genesis sedan. U.S. buyers, since the LA Auto Show is about them, will most likely find familiarity with the Azera as a replacement for the Grandeur model. 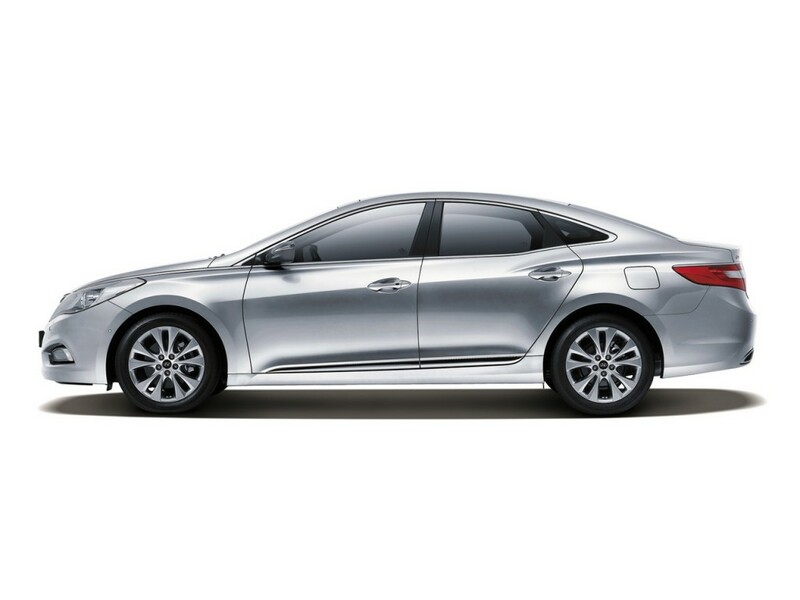 Despite this connection, the 2012 Hyundai Azera has a few interesting tricks up its sleeve, most significant of which is the four wheel drive capable architecture. As we’ve been finding out lately, there’s ever growing interest in having four wheel drive spec’d up on biggish family saloons so Hyundai couldn’t be missing out on some market potential. In most other regards however, the 2012 Hyundai Azera remains much of a mystery. We know what it looks like, we know what it’s like on the inside and we even know what some of its options can do but somehow we’re lacking some of that serious substance that makes a press release. Who knows, maybe it’s just a specific thing from Hyundai or the Twitter imposed 140 character limit. Speculation has been brewing on just what engine the 2012 Hyundai Azera is most likely to be sold with and since the company doesn’t have that many powerplants to go round here’s what’s most likely to reside under the bonnet. Most likely the 305 to 335 horsepower 3.8 liter V6 will be on the posh versions and the 2.0 liter turbocharged inline-four could be the entry level unit. Even in this form some say that the four pot could be tuned up to 274 horsepower. If you want to know more about the real stuff that’s definitely coming to the 2012 Hyundai Azera and the stuff you’ll get to see at the Los Angeles Auto Show, the radar guided cruise control has been advertised for comfort and the panoramic sunroof is the first thing we’re told about as far as design and comfort mixing within the car. A pretty sweet package that will undoubtedly come bundles with a low price and more than decent fuel economy.